MedGenome, India's premier genomics based research and Diagnostics Company, today announced that as part of its growth plans, it has taken over the management and operations of the Centre For Genetic Health Care (CGHC) in Mumbai. It will henceforth be called MedGenome- Centre For Genetic Health Care (CGHC). CGHC, a leading genetic centre, accredited by NABL and CAP and offering cytogenetic and FISH tests in pediatrics, prenatal, reproductive genetics and haematological oncology segments, has been at the forefront for providing Genetic counselling services. With this take over, it will be able to provide patients with a wide range of molecular tests across all the specialties like Reproductive, Neurology, Nephrology, Oncology, Cardiology, ENT, Endocrinology, Ophthalmology, rare diseases etc. This will empower clinicians with validated and actionable clinical information to make effective treatment decisions for their patients. This will also bring a lot of synergy providing a unique opportunity for doctors and patient to leverage each other strengths. 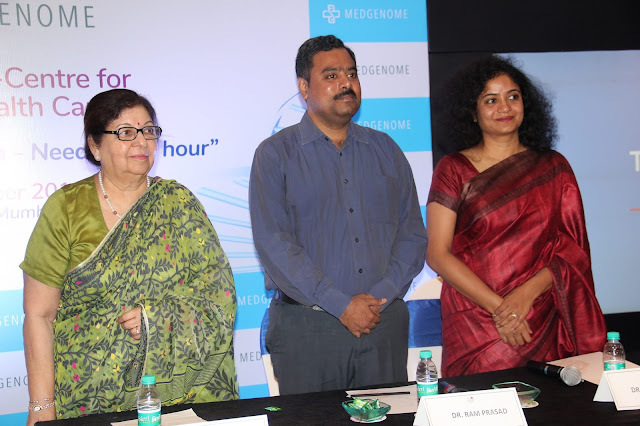 MedGenome-CGHC will now have cross functional team comprising of experienced medical geneticists, scientists and bioinformatics etc, who can leverage knowledge and depth on patient scenarios with large amount of curated content for enhanced reporting. The centre will boast of a larger pool of genetic counselors with enhanced depth and experience across multiple therapy areas, latest techniques for testing such as Next generation sequencing (NGS) technology and access to internationally accredited laboratory with the College of American Pathologists (CAP) and National Accreditation Board for Testing and Calibration Laboratories (NABL). Unfortunately many have the misconception that genetic diseases affect only a small portion of a population hence isn’t regarded as a problem. However, the reality is that, India with its high population, diverse cultural, religious and social backgrounds coupled with high birth rates and practice of consanguineous marriages in certain regions carries a heavy burden of genetic disorders. Almost 500,000 cases of children are born with genetic disorders every year and various studies suggest that chromosomal abnormalities occur with a frequency of 1 in 166 births in India. There is also a high incidence rate of Down syndrome (trisomy of chromosome number 21) with 1 in 800 births. These statistics are alarming. Genetic screening coupled with genetic counselling is hence the need of the hour that can identify at risk cases to make informed decisions about further testing. Genetic Disorders can present in any stage of life – fetal to adulthood and most of them are preventable. “We are keen on expanding our reach and serving more patients. With CGHC now being managed and operated by MedGenome, it will add many clinical tests especially in the prenatal segment (Karyotyping, FISH tests etc) to our growing test list and we would be able to offer more comprehensive solutions to the clinicians. Genetic testing today has eased the process of diagnosing the disease for the clinicians, thus reducing the trial and error methods. This has indeed augmented the quality of life and care. With increase in awareness and government intervention, genetic tests can be made accessible and affordable to maximize the benefit for all”, said Dr. VL Ramprasad, COO, MedGenome.